2. Tie the tissues on with the clothes pin with a piece of string or twist tie. 3. Use the marker to draw the eyes on the ghosts. 1. Place the jar on the floor. 2. One at a time, have the children stand over the jar and hand them one ghost. 3. The child must then must hold the ghost at the level of their nose and try to line it up so that the ghost drops into the jar. 4. 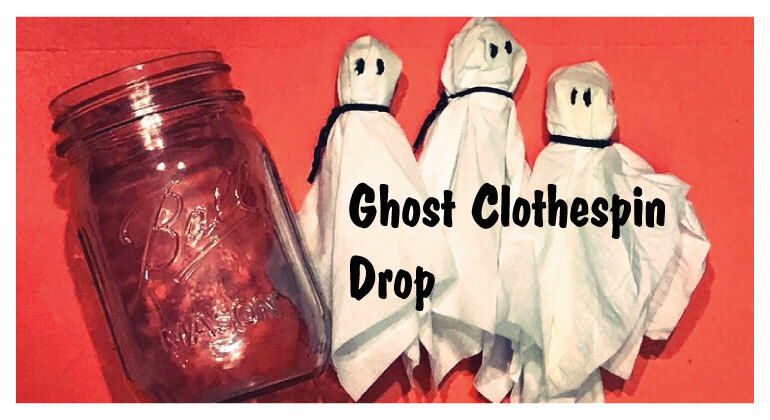 Each child is given 5 ghosts to drop and the child who gets the most ghosts in the jar wins. If there is a tie between two or more children, then have the children do it again. If there you have another tie then have the kids do it blindfolded or with their eyes closed. The goal of the Ghost Drop Relay is the same as the single player game as it is to get the ghost into the jar, however how you play is different. You will need more ghosts for this version of the game. 2. 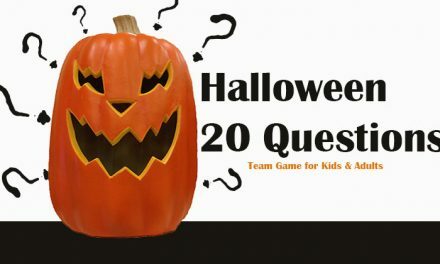 Set a Start line where team members stand and where the kids will drop the ghosts into the jar. This space between the line and drop area should be 8-10 feet apart. 3. Teams will line up at the Start line, beside them will be a basket of clothes pin ghosts. 4. When the Party Host says “Go” the first member of the team grabs a Clothes Pin Ghost and heads for the jar, stops, lines up the ghost and drops it from their nose level. 5a. 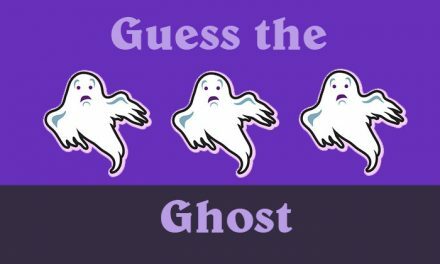 If the ghost goes in the jar, that players heads back to the Starting line, Tags the next player and they repeat the process of grabbing a ghost and heading to the jar. 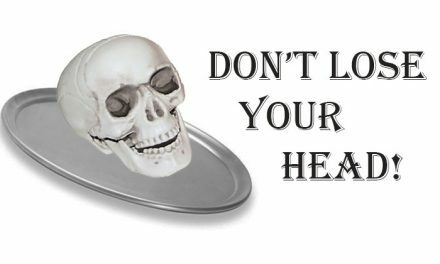 – Have them head back to the Starting line and pick up another ghost and return to the jar to try again. 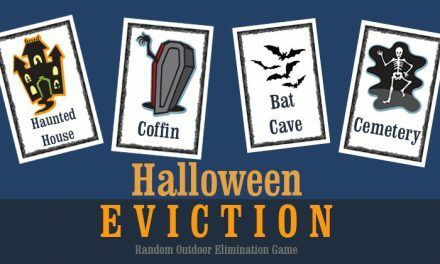 Ghost drop is a classic kid’s game and a fun Halloween children’s activity that tends to be harder than you realize. To be honest this Ghost Drop can be challenging at any age. This clothespin drop game is easily be played without the ghosts at harvest parties and children’s events.